Detroit’s Chapter 9 bankruptcy in 2013 marked a stunning reversal for a city once among America’s greatest. 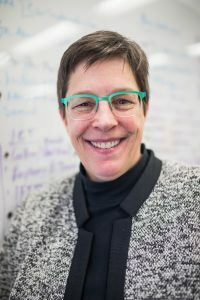 Beth Niblock became Detroit’s CIO under a year later and has since worked on pulling the city’s IT back from the brink. Niblock recently told GovLoop about modernizing Detroit’s IT and the city’s challenging path forward. Her journey offers valuable cybersecurity, emerging technology and workforce insights to govies everywhere. 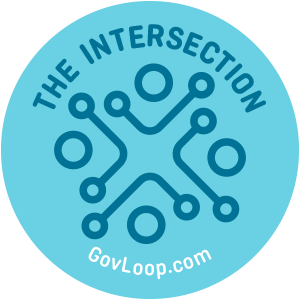 GOVLOOP: What’s working for Detroit’s government like? NIBLOCK: I started in March 2014. Detroit was in plight and going through the process of bankruptcy. The team that was here performed miracles in keeping things running. Most of the computers were on Windows XP or older, meaning we could no longer patch them. The network was not robust because they hadn’t been able to afford replacing switches and putting more network in. We were on an extraordinarily old version. Depending on your computer, you were or were not capable of opening Word documents as everyone had different versions of Microsoft products and eventually they aren’t backward compatible. We couldn’t run all the mayor’s printers. There were basic infrastructure things that needed to happen. After the bankruptcy, we got money to start moving forward. We replaced PCs and we got an enterprise agreement with Microsoft. We were capable of remotely managing PCs, which we couldn’t do before. We ended up doing foundational things, things for the departments and things that were citizen-facing. The citizen-facing things are the more exciting of anything that we’re doing. We replaced our desktops and put in an active directory so that we could do automated security patching. We couldn’t push out security patches before. We could do remote management of PCs and printers. We redid the network infrastructure and ran some private fiber between two of our beta centers. We did a lot with our data center like working on virtual technology. That gave us a high availability because I have two data centers and fiber between them, so we have some vast recovery business continuity on that. We have old mainframes which we were able to retire, and we lifted and shifted the whole payroll program off it onto more modern infrastructure. GOVLOOP: Can you describe how these changes have impacted Detroit’s hiring? NIBLOCK: I’ve got Ford, General Motors, Chrysler, Quicken Loans nearby. I’m competing against competitive entities doing exciting things. One of the things Detroit’s emergency manager did was restructure all our jobs, so we were able to benchmark them competitively with businesses in southeast Michigan. Everybody that was an existing employee had to apply and openly compete for the new jobs. It reset them to what that role should have been valued at. We were also able to attract new folks. I have an emerging technology team that’s doing some interesting things on transportation and autonomous vehicles. It’s rapid prototype development. We also consolidated all our IT. There was IT throughout different departments. GOVLOOP: What are the biggest hiring, recruiting and onboarding talent challenges your team has faced in recent years? NIBLOCK: I feel like we’ve been lucky as people are interested in working in Detroit with its resurgence. We were able to bring back many people who are supporters that wanted to come work here. There was lots of excitement about the projects that we had and the ability to do things differently. We’ve been able to retain some amazing folks who do incredible work, but their pay scale is set back at what the job is. Another big thing is the partnership with our HR department and their recruiting staff. They have a recruiter familiar with IT recruiting because it’s slightly different than basic recruiting. We’ve been able to get jobs filled in partnership together. We would lose people in the process, so we found a way to make it faster. IT folks have many options, especially when the economy seems good. In southeast Michigan, IT is almost at completely full employment. It’s a tight labor market. If you can’t be nimble, you can’t tell a good story and you can’t move through the process quickly, you lose people. They won’t hang on because they have all kinds of other options. We wanted to make sure when we did the initial rework that everybody was treated fairly. People were waiting nine and 10 months to hear back for interviews. All our job applicants for the first couple rounds were reviewed, scored and qualified by outside consultants so there was no bias in the process. That’s been brought in-house and they’ve been able to streamline that. GOVLOOP: What future efficiency and productivity goals do you have? NIBLOCK: It’s partially based on the network’s stability and the availability of applications for people. We’ve got service level managers that are assigned a portfolio of departments. The service level manager and their team can be directly involved in the planning and supporting of departments and their applications. We’ve also got a new service desk for what’s coming in for our help desk. It will allow us to have more insight on how quickly we’re capable of resolving issues because we’d like to get it to the point where resolution times are much faster. With the infrastructure team, it’s being able to spin up servers quickly when we need those spun up. GOVLOOP: What cybersecurity challenges does Detroit face? NIBLOCK: I think any entity faces many of them. It’s the thing that we’re constantly vigilant about. The folks in that space are getting much cleverer about disguising malware and phishing emails. They’re much more sophisticated. It’s trying to train people to be suspicious of what comes into their email box. It’s good cyber hygiene, patching and patch management strategies and having a good firewall and firewall management. Every government, every business has sleepless nights about cybersecurity because it’s an ongoing back and forth between those perpetrating this and those trying to keep their enterprises secure. GOVLOOP: What technologies have helped you achieve mission victories for your department? NIBLOCK: I think the biggest thing is making everything mobile responsive. Folks do lots of things on their phones. Detroit has a significant digital divide, so it’s also being able to reach out to people in whatever manner they want to interact with the city. GOVLOOP: What emerging technologies excite you? 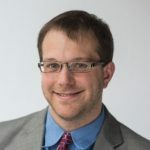 NIBLOCK: We obviously have many car companies here in Detroit, and Ford just made their major announcement that they’re going to be redoing Michigan Central Station and moving their autonomous vehicle work there. Being supportive of that is important. My Geographic Information System (GIS) team and my emerging technology team, through an innovation competition here, put Lidar units on a van so we can drive and process that information. We’re getting Lidar of the entire city, basically like the equivalent of Google Street View. Detroit’s physical building infrastructure changes often, so we’re capable of capturing much of that. We’re in the process of putting all that information on our open data portal. Both the imagery and the Lidar will be out. We’ve also taken machine learning and processed the imagery. We’re framing it to recognize stop signs, stop lights, all the signs that our public works group will put out a contract for involving a significant amount of money, to see where all their assets are. This is allowing us to generate more accurate street center lines and see where manhole covers are more accurately. GOVLOOP: How will AI and machine learning impact government IT? NIBLOCK: They’ll impact not only IT but other things like scheduling. I think it will have a significant impact. Part of what we all do is lots of information processing, and I think that’s going to happen with AI. I think that will allow folks to concentrate on value added to the citizens and businesses rather than the mechanics of processing something. GOVLOOP: What has Detroit’s Director of Emerging Technologies and their team recently done? NIBLOCK: That team often works in the open data space plus rapid prototyping. They’re amazing. They’ve done a lot with data warehousing and cleaning and getting everything into the open data portal. Then they are looking at how we take component pieces, do rapid prototyping and get something that’s working. For example, we recently had a huge cold snap here. They were able to set up texting and phone alerts in Arabic, English and Spanish in 30 minutes and get warming center information out for folks. They’re agile and can turn on a dime to create things when we need them created. GOVLOOP: What do you want to accomplish next? NIBLOCK: We don’t have an enterprise asset management system, so that’s one thing that we’ve got to get in place. We’ve also got to put in an enterprise document management system. We’re setting up an archive center, so we have a records management system that we’re putting in place for the proper management and disposal of our records so that we meet the retention schedule that’s set up out of Michigan’s state government. We want to get to a place where we have better-coordinated capital infrastructure planning so that you don’t have a road that gets paved and then immediately after somebody cuts into it. We want to focus on digital inclusion because we know that there’s a significant digital inclusion issue here. We’re working on how we address and change that dynamic.